Makeup and Hair : Nancy of Wowpretty Makeup and Hair Agency. 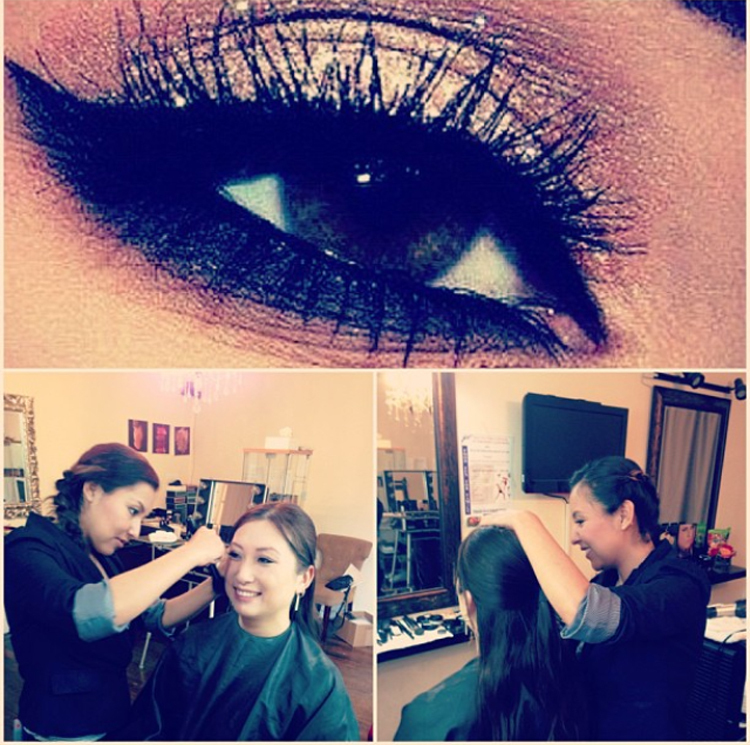 One of WP makeup lesson group of 2, ” My best friend” makeup lesson! This is the before & after pics! Done by our clients! Life is busy and complicated already… Genevieve came to the makeup class and wanted to learn daily makeup with easy steps, light and FRESH!! She wanted to look wearing No makeup so I recommended her tricks of course! + Jiracouture tinted, concealer, bronzer, finishing powder and color sticks for lips & eyes, Mascara, Liner so she liked them and bought them all. Here are the before and after makeup pics. Makeup done by Genevieve, was her first time! We Love to teach the makeup lesson!! None stop bookings! And This is one of today classes “my best friend” makeup class, 2 beautiful young moms “Lily and Ella”, They wanted to learn some update makeup and hair techniques. 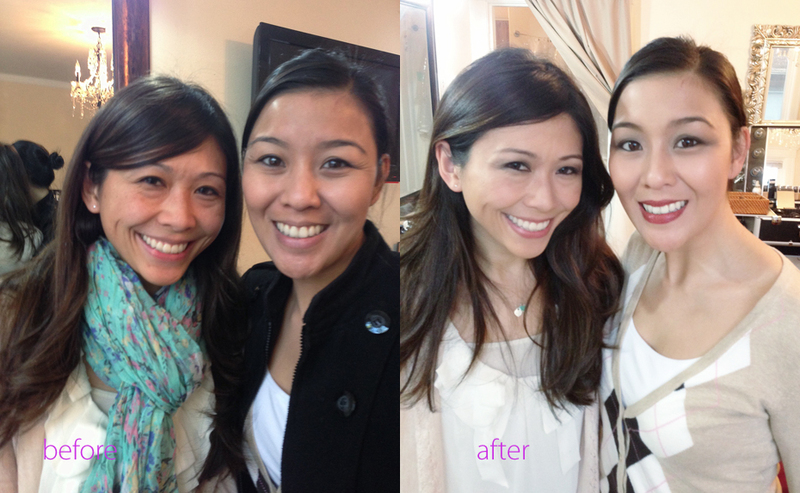 Before and after makeup Hair done by Lily and Ella Wong!! 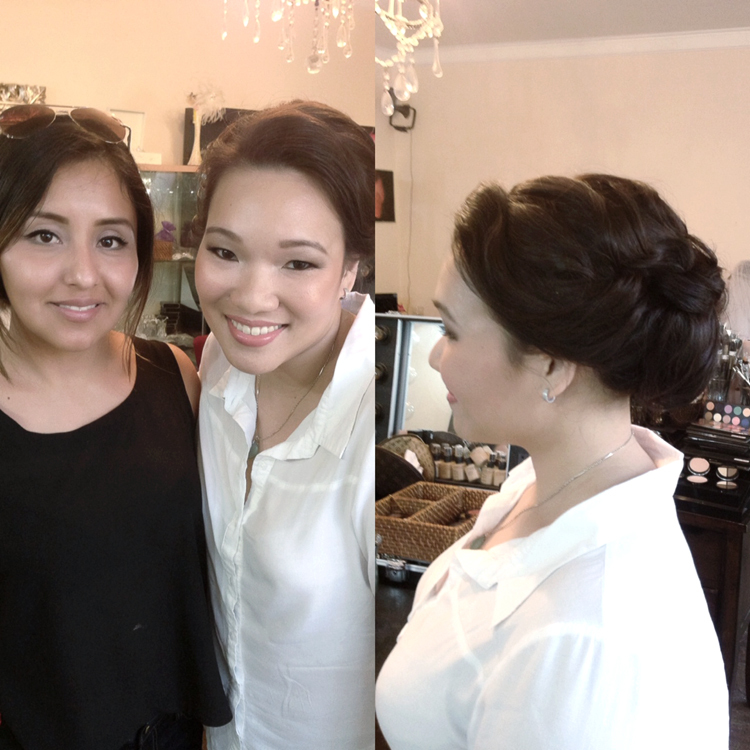 Michelle ‘s (on the right) is a wedding vendor in bay area along with her best friend Jennie. 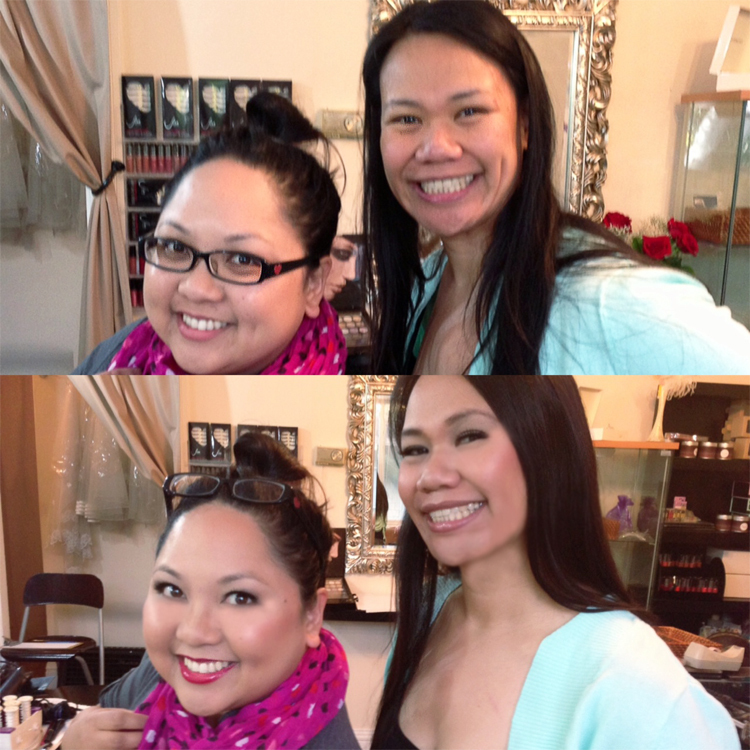 They both came to the BFF makeup class for 2 hours to get some tricks for makeup and hair. 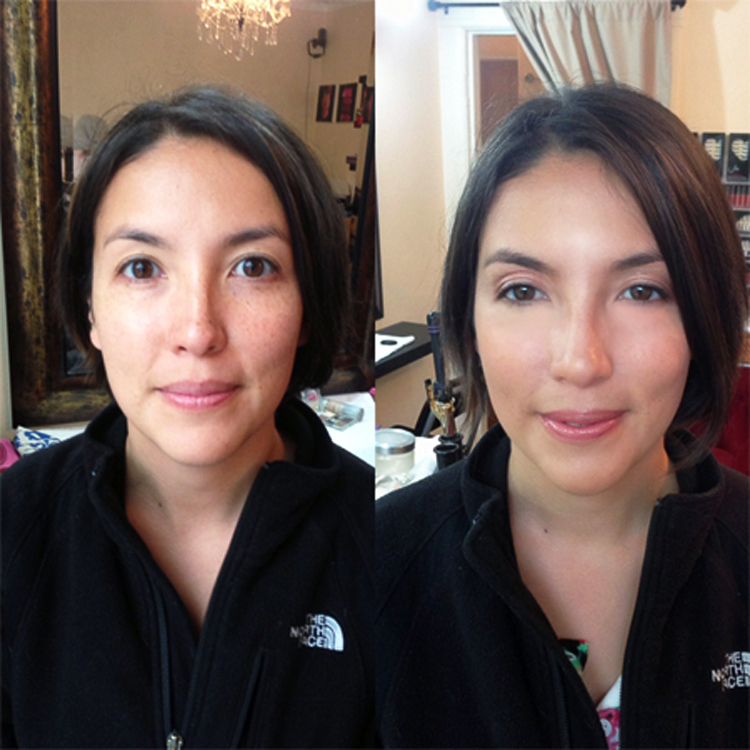 The class went so well, I gave her 5 eye makeup applications, contour, created nice brows, taught her how to do her own personal airbrush technique by Temptu, a key to apply foundation, liners, blushes and new lip pencil color, hair care and also just found after the class that they were WP bride’s friend since 2008. Time flies! 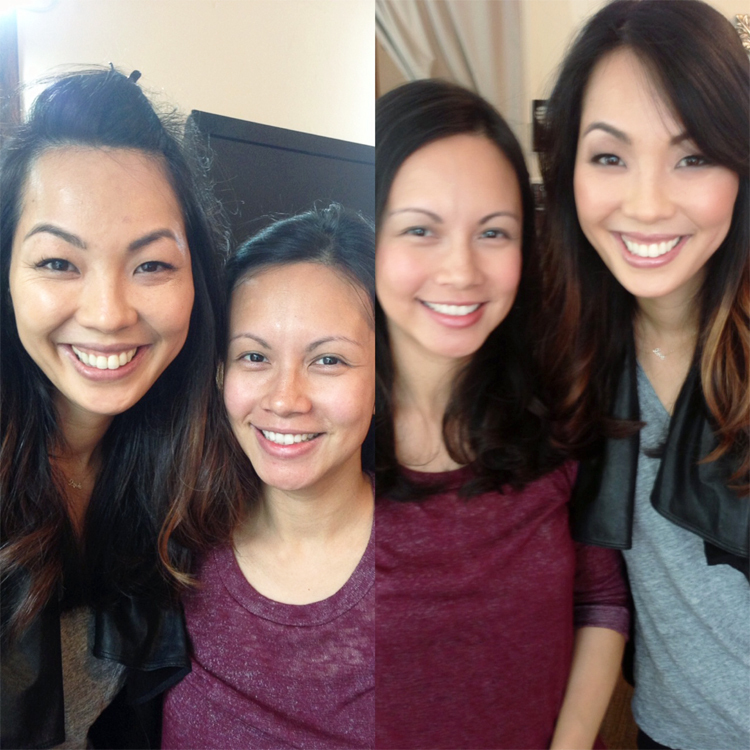 This before and after photo and the makeup and hair done by Michelle and Jennie. New York. Check more information HERE!! Shienny wearing a black sweater was a WP bride in 2007. We still remembered how beautiful she was on her wedding day. 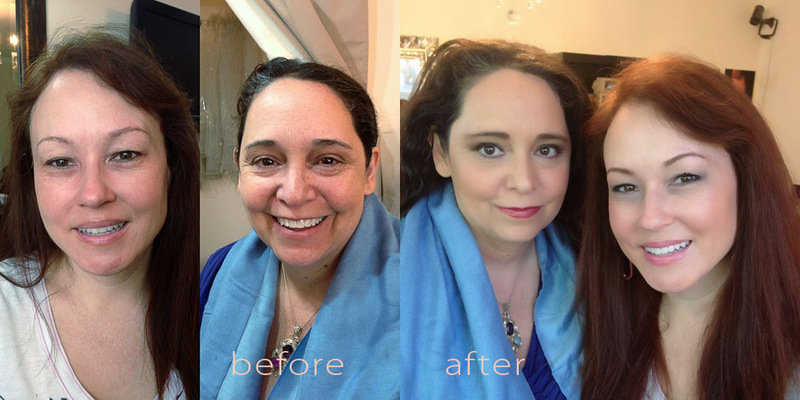 Today she brought her best friends for WP group makeup class, Here are the before/after pictures. We had so such fun and good times. 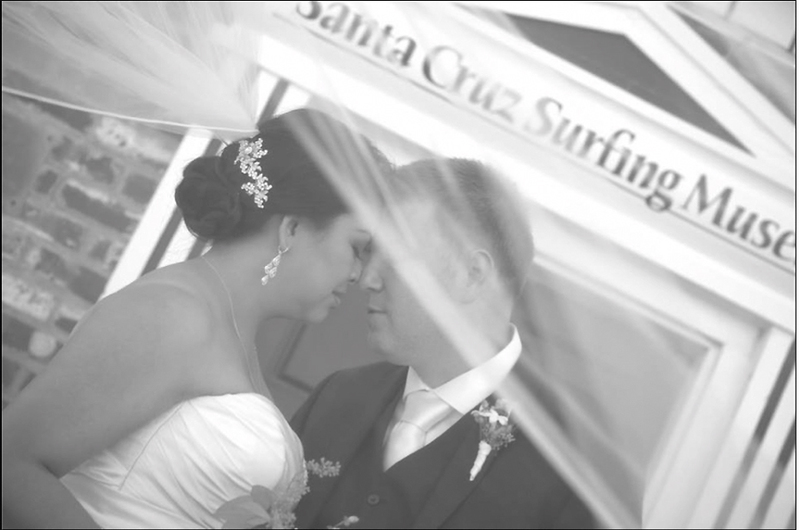 Love WP brides! Maria was looking for us to help her do correct eye applications and show her different techniques. She watched many videos on youtube and wanted us to help her improve. 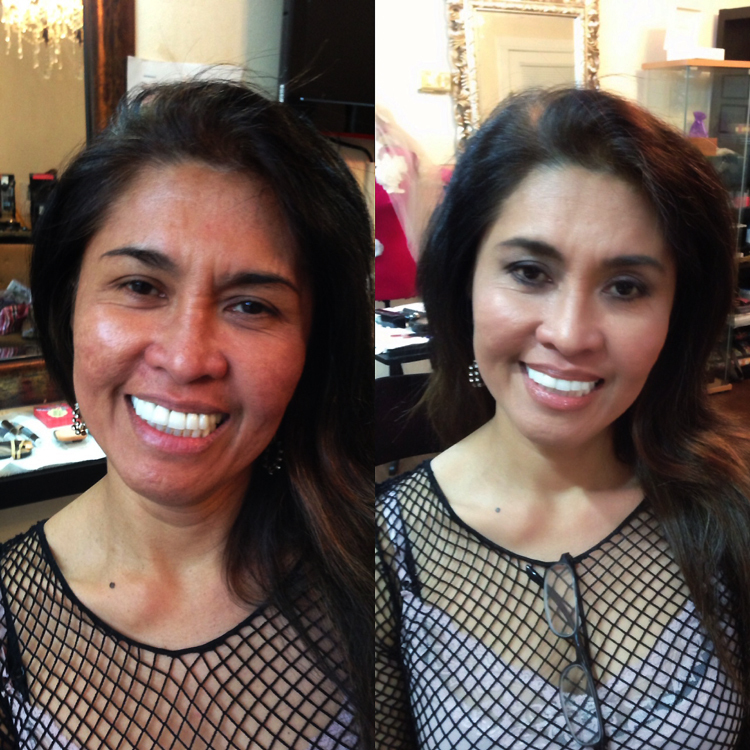 Linda was looking for dramatic makeup and she wanted to look different than she never looked before. Here is before/after. 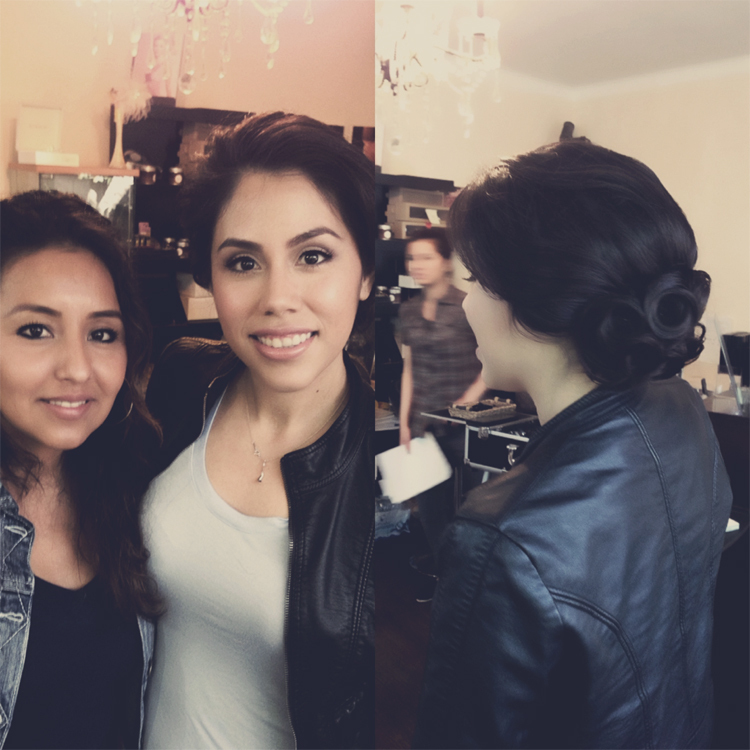 Makeup done by Maria and Linda. 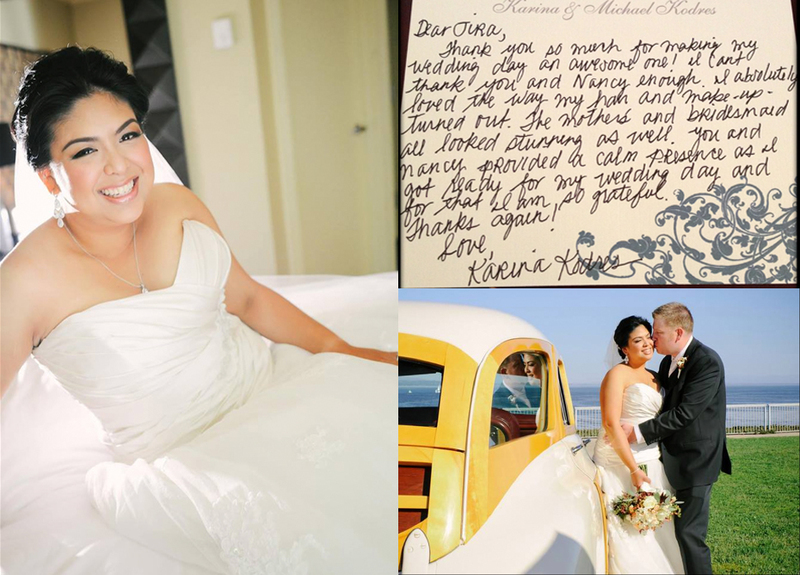 Pure, one of Wowpretty’s brides in 2009, we still remember how beautiful she was in her white dress at Memorial Hotel in SF.Pure came to a Wowpretty makeup lesson immediately when she found about it. She is concerned her skin redness which she doesn’t want to see anymore and She wanted to learn a technique that’s easy for her day to day use and correct her eye for color applications. 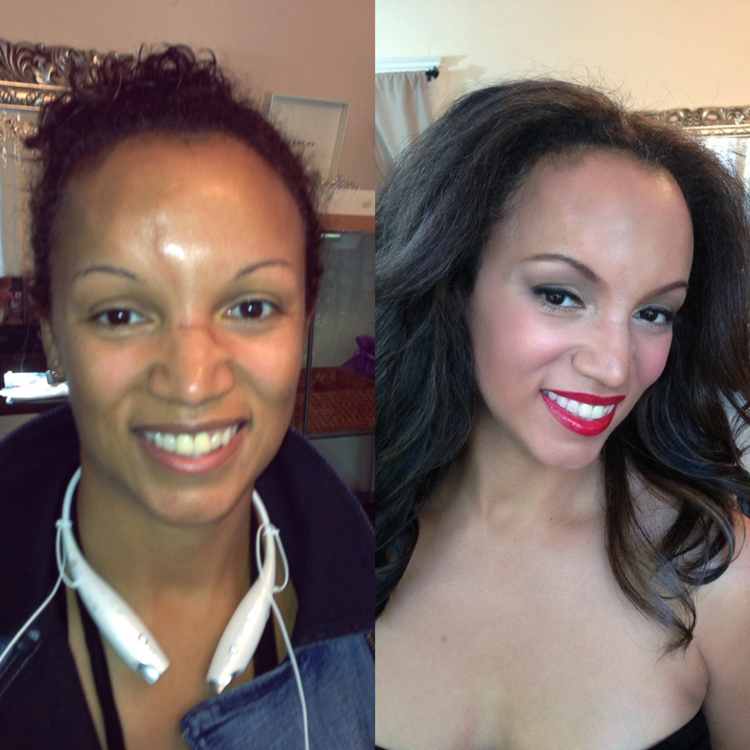 And this before/after picture : Makeup done by Pure. 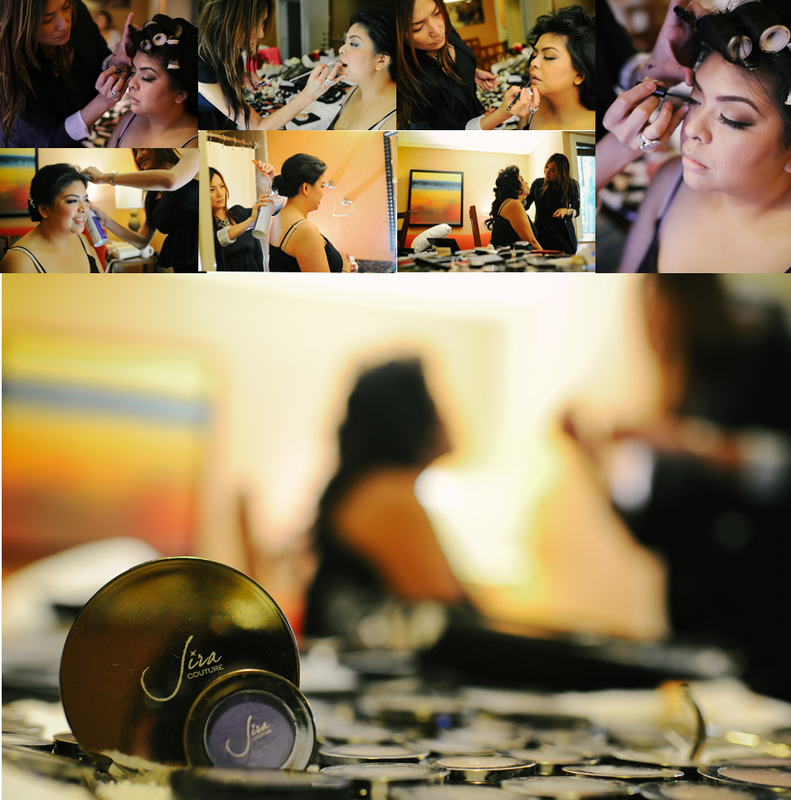 These were all done using only Jiracouture products!